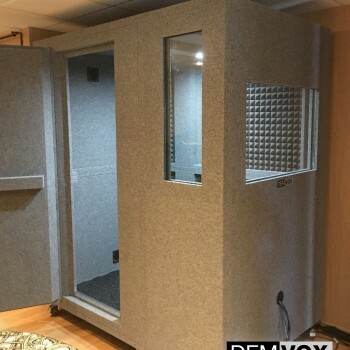 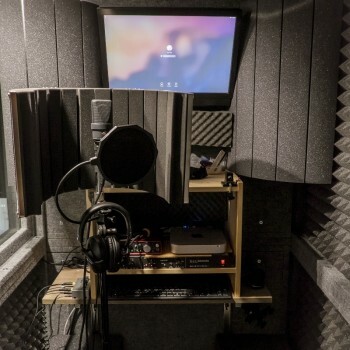 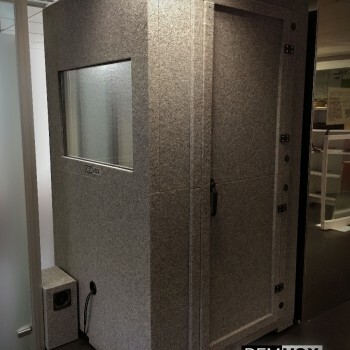 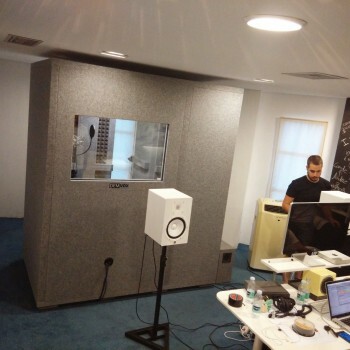 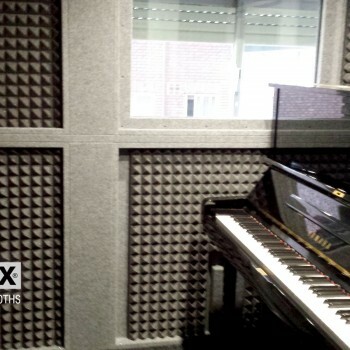 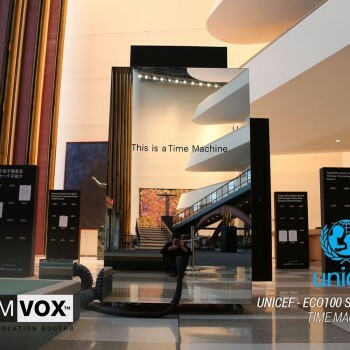 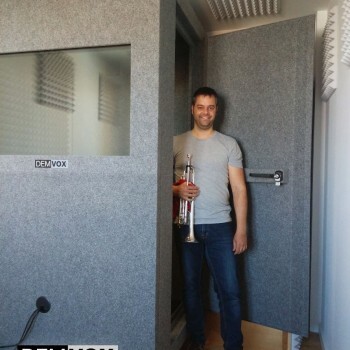 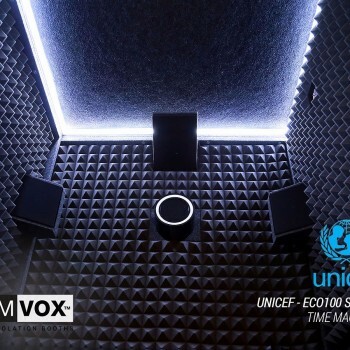 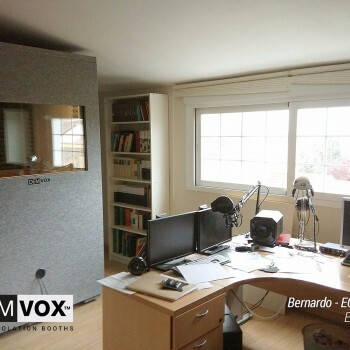 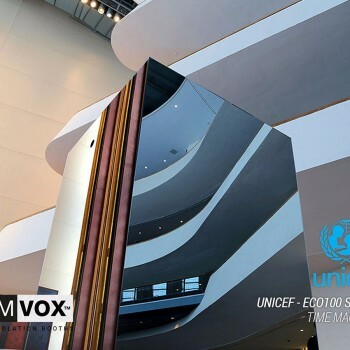 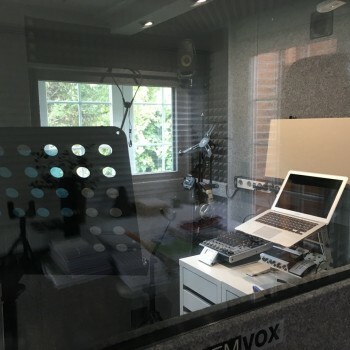 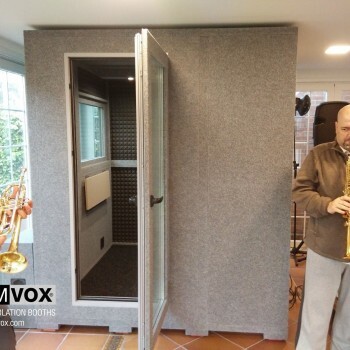 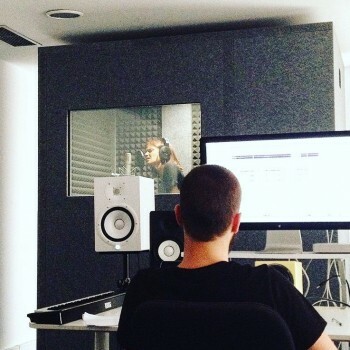 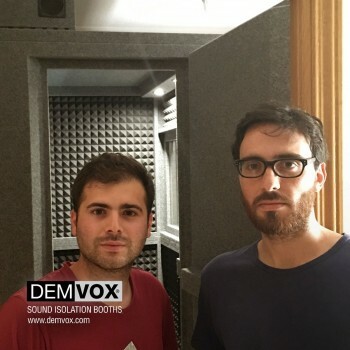 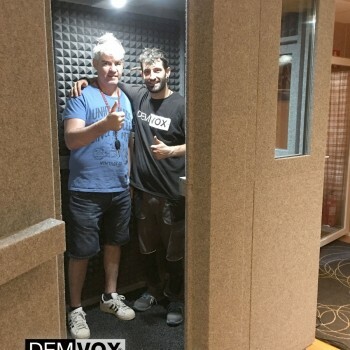 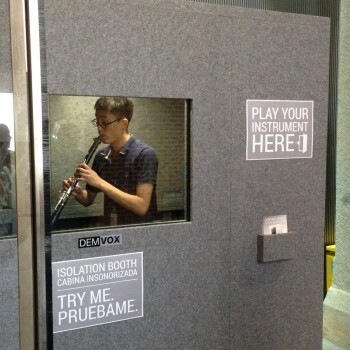 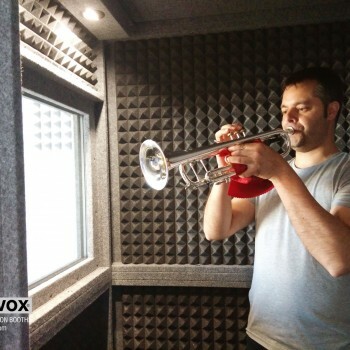 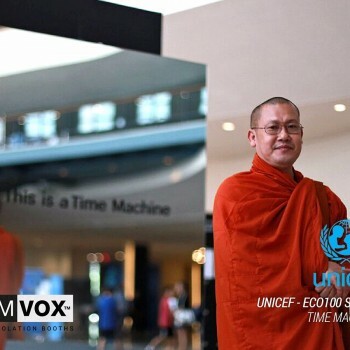 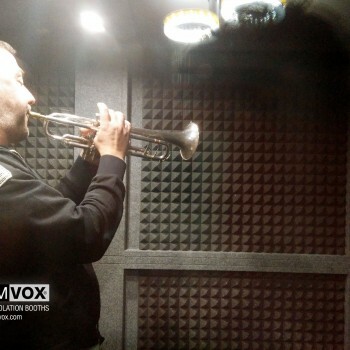 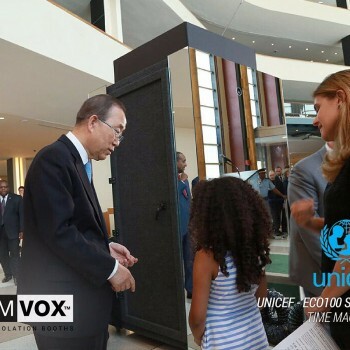 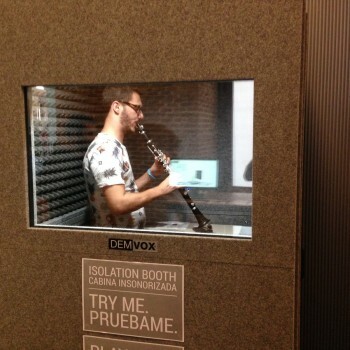 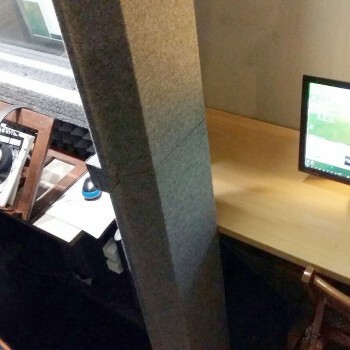 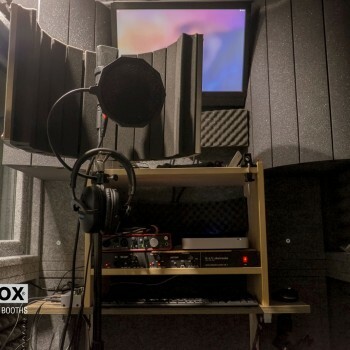 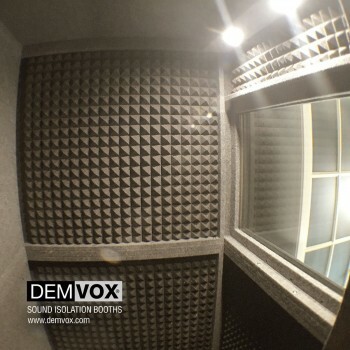 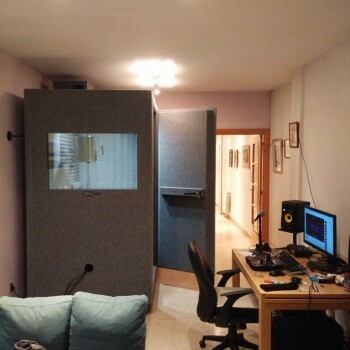 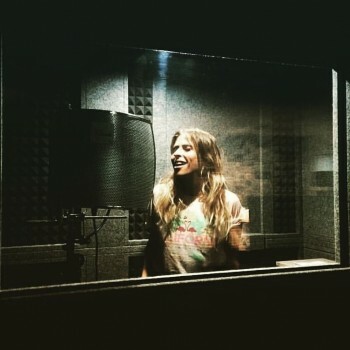 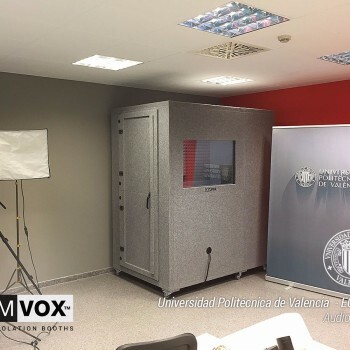 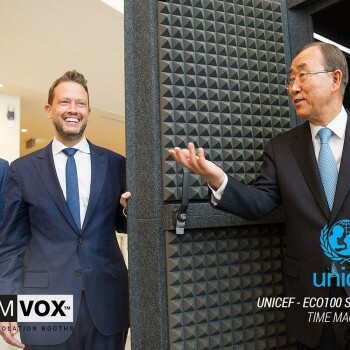 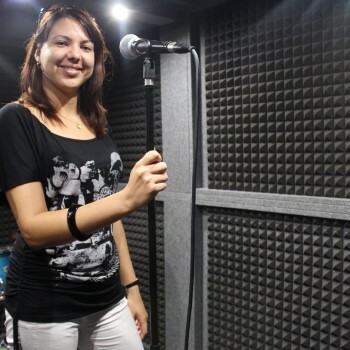 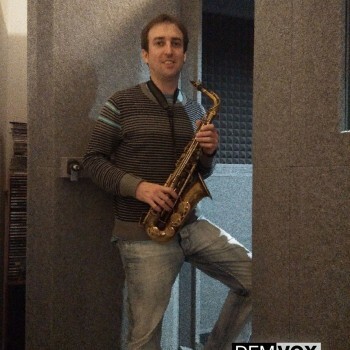 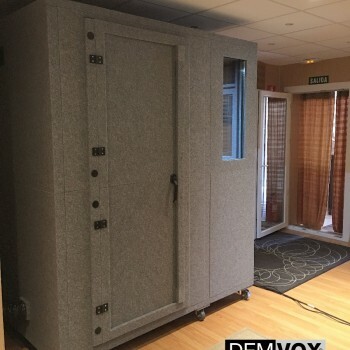 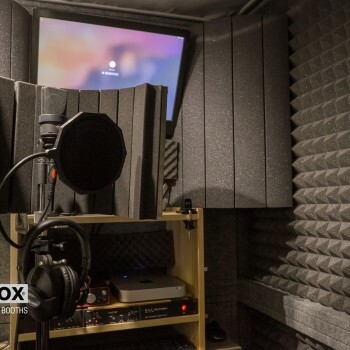 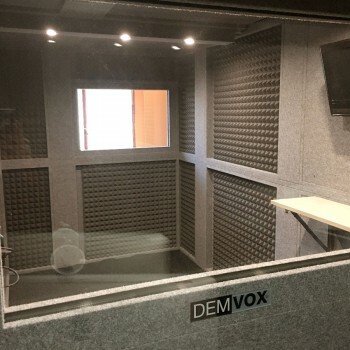 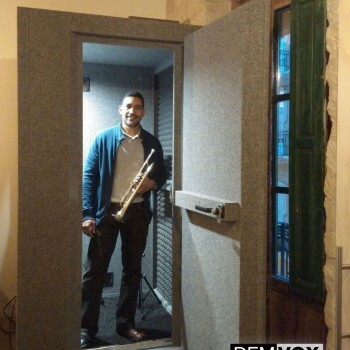 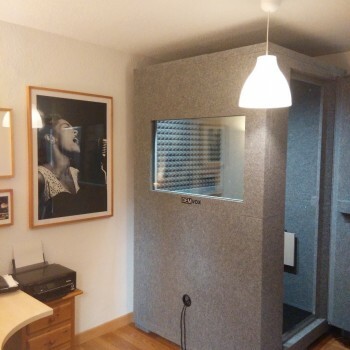 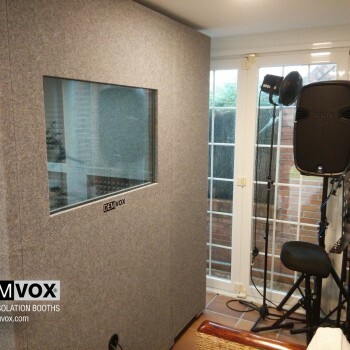 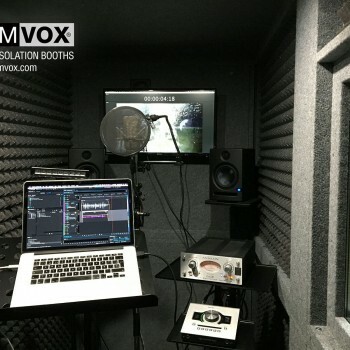 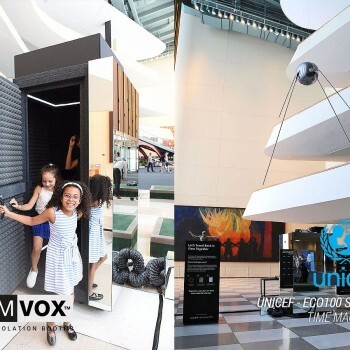 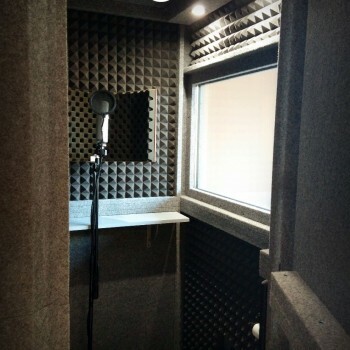 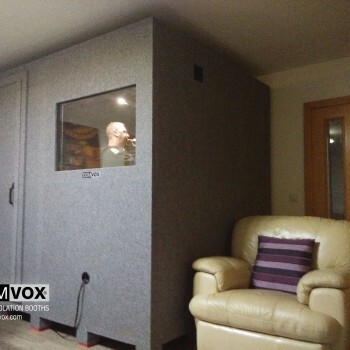 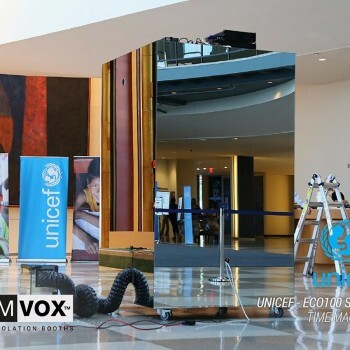 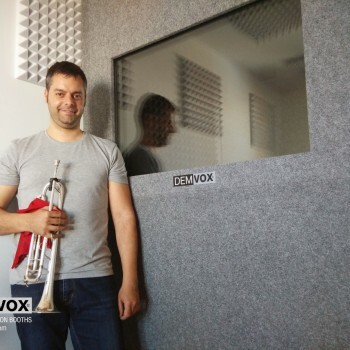 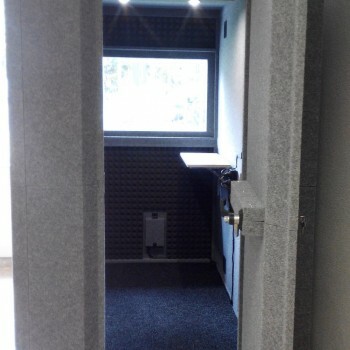 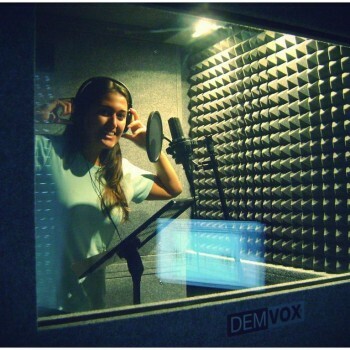 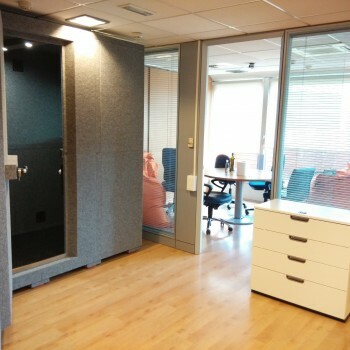 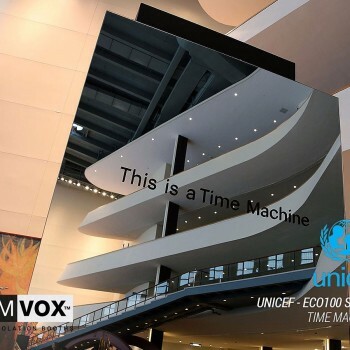 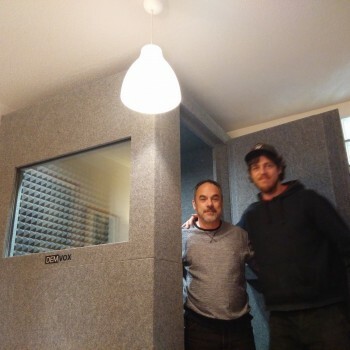 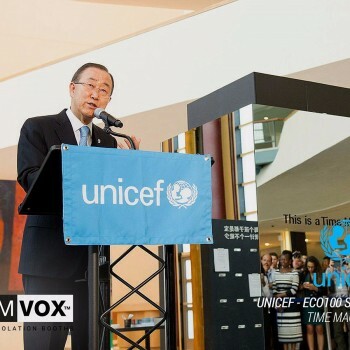 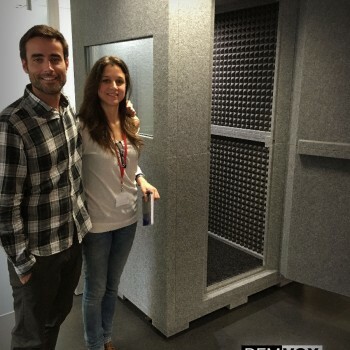 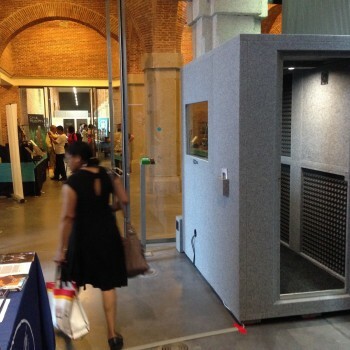 DEMVOX™ portable booth ECO are soundproofed modular spaces designed for the study and recording of voices and musical instruments, voice, musical and audiovisual production, and generally any activity that is necessary to have an acoustically treated sound booth. 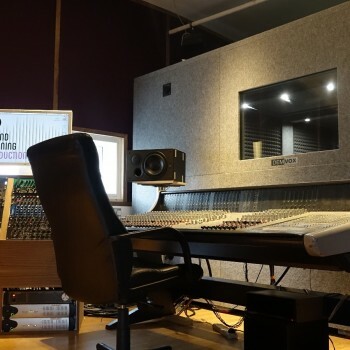 They offer a unique design with configurable panels and supports that fit together to form your ideal studio, plus a range of accessories that allow you to optimize performance. 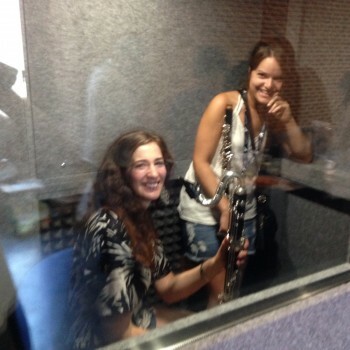 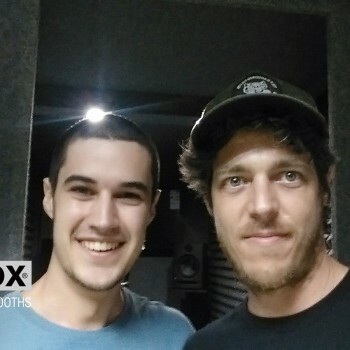 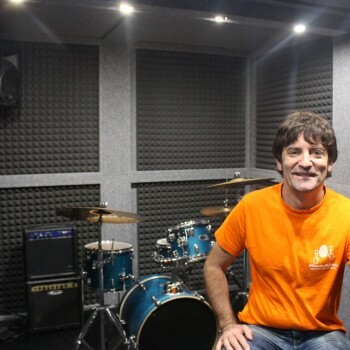 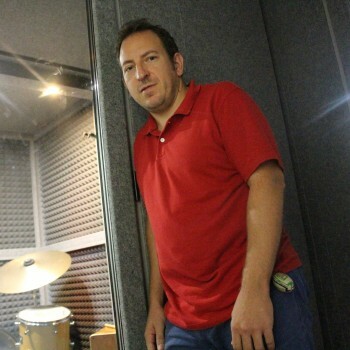 Practice, rehearsals and studio musicians. 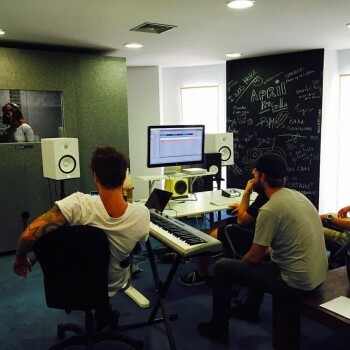 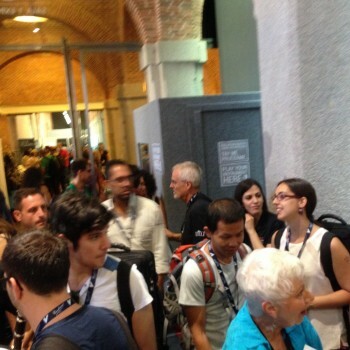 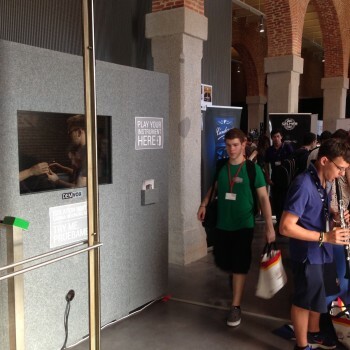 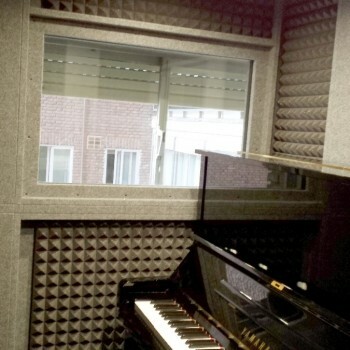 Audiovisual study music Academies, Schools and Sound. 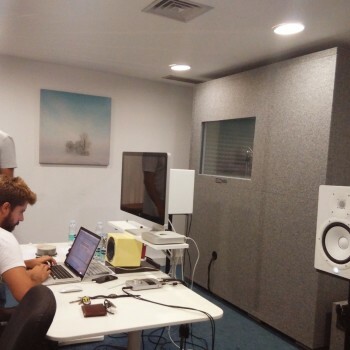 Our R & D is the soul of our company. 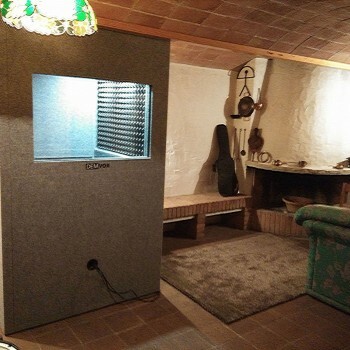 There the real needs of our customers are contemplated, and where every day, our products grow and improve in their quality. 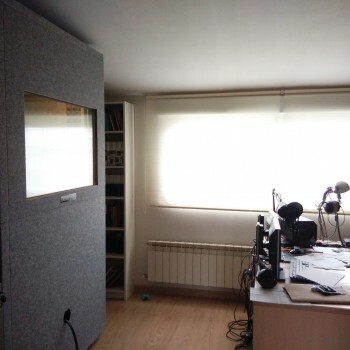 Our key points are quality and efficiency, jointly applied to the real possibilities of acquisition in the market place. 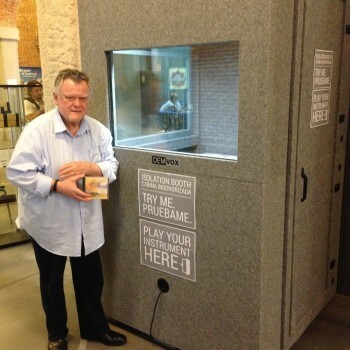 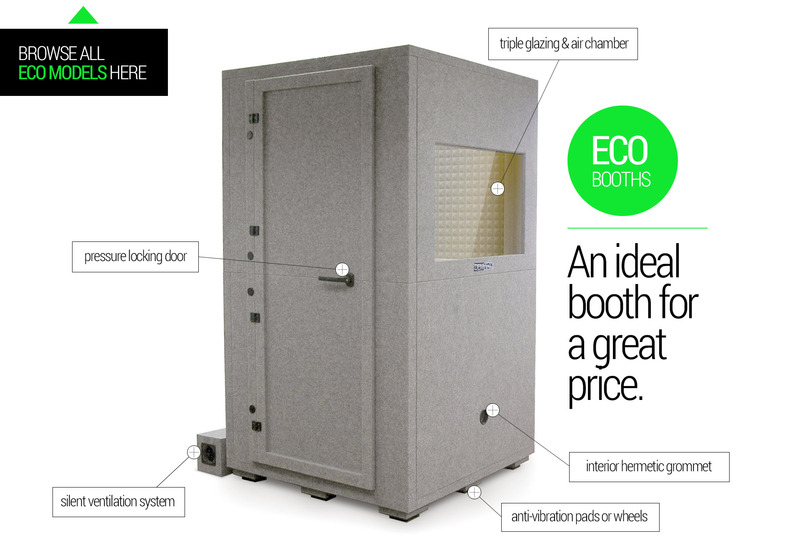 We 100% guarantee our products and we can be proud of the balance achieved in our booths. 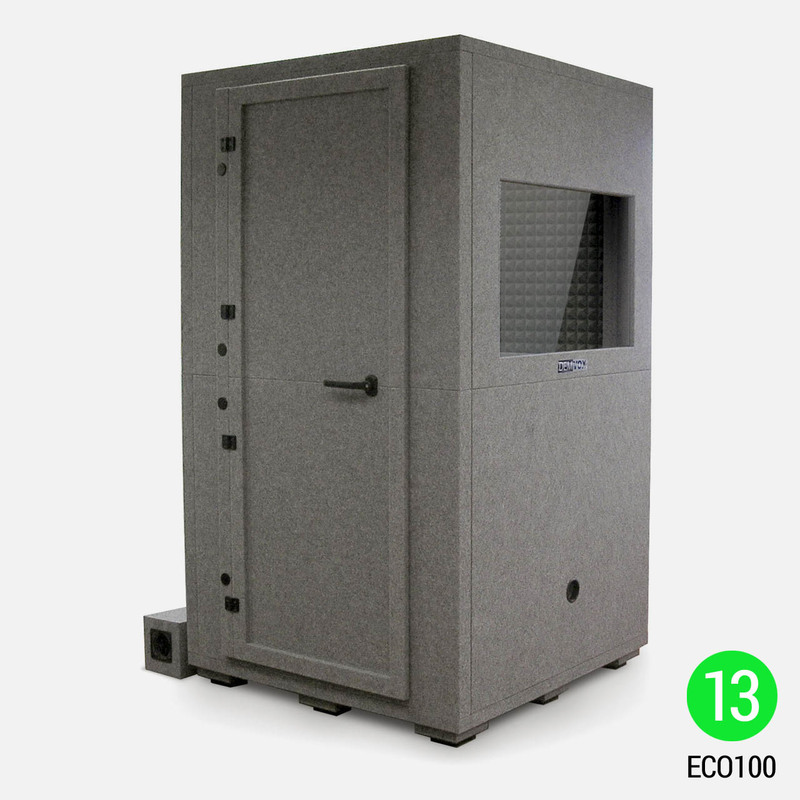 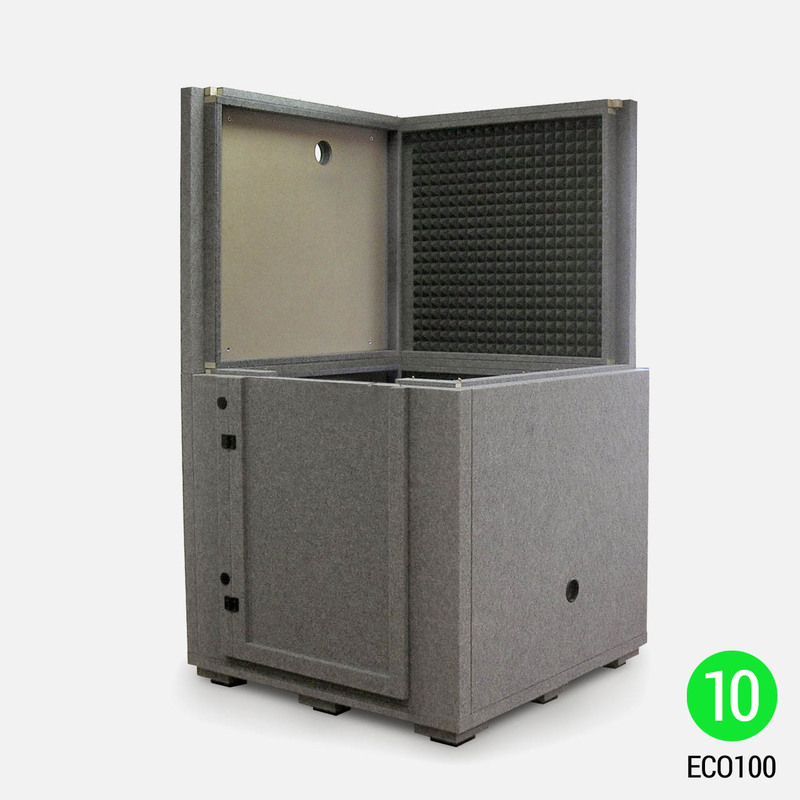 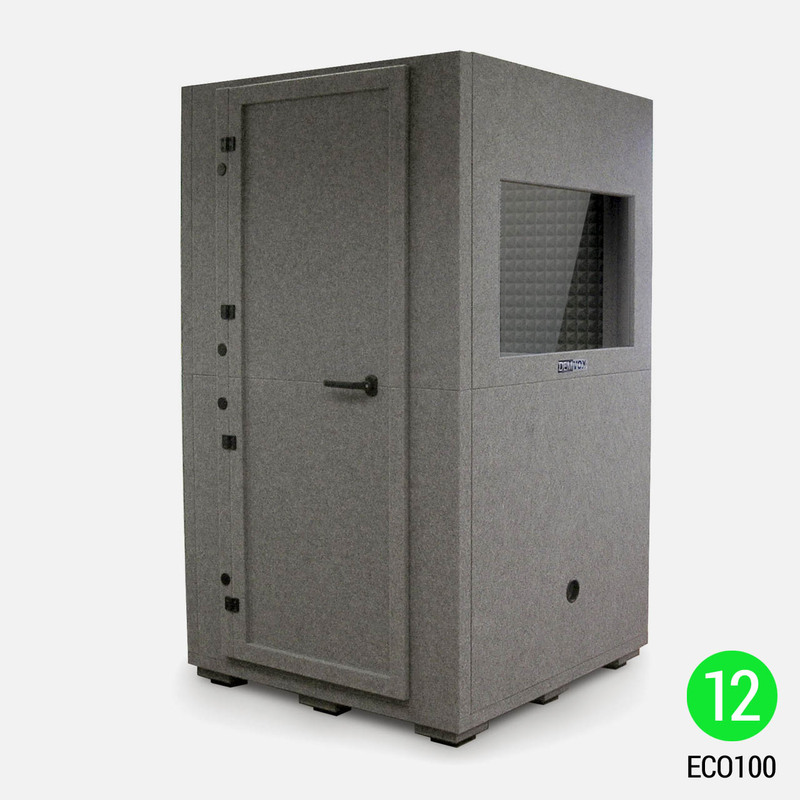 The ECO100 is our super-efficient flagship model, a professional practice booth at an amazing price. 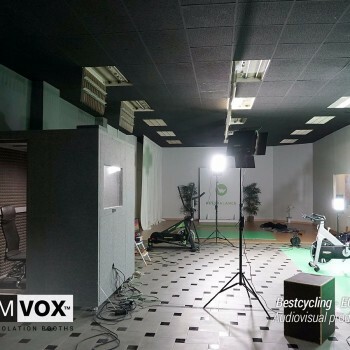 1) The first module to be installed is the floor. 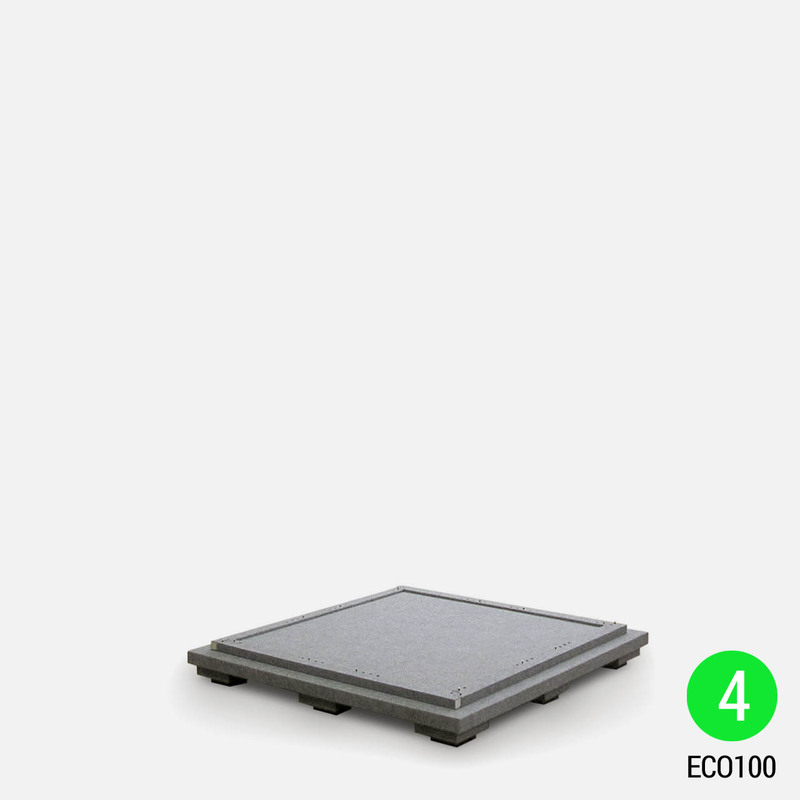 The 9 base feet (or 5 wheels depending on the option bought) are placed as shown in the image. 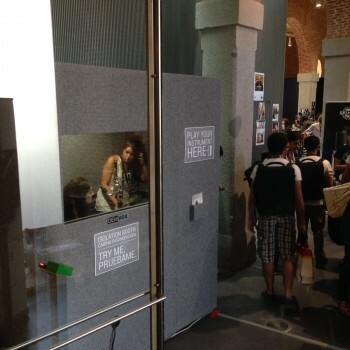 They can be placed in many ways, although some positions are optimum. 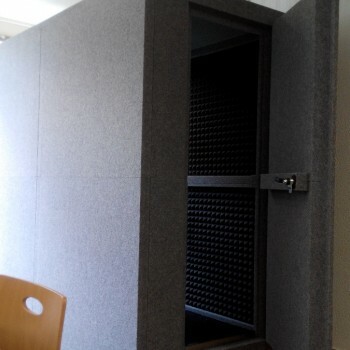 2) The module is placed in the area where the booth is to be installed, taking levelling into account. 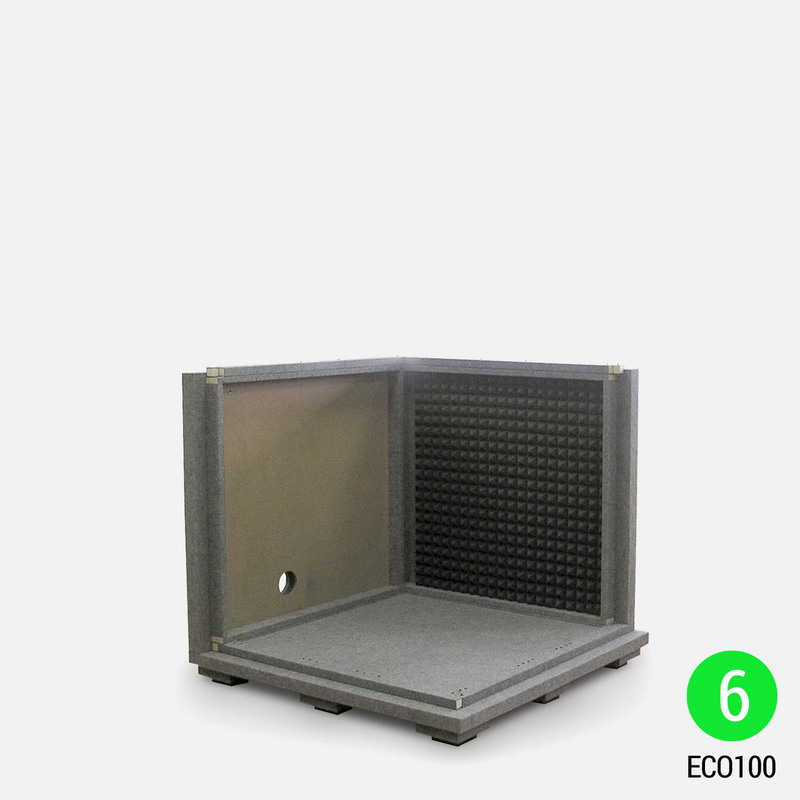 With a level (manual or smartphone) it is important the area is little or no inclination, as this may cause an improper cabinet assembly and result in a loss of substantial decibel absorbance. 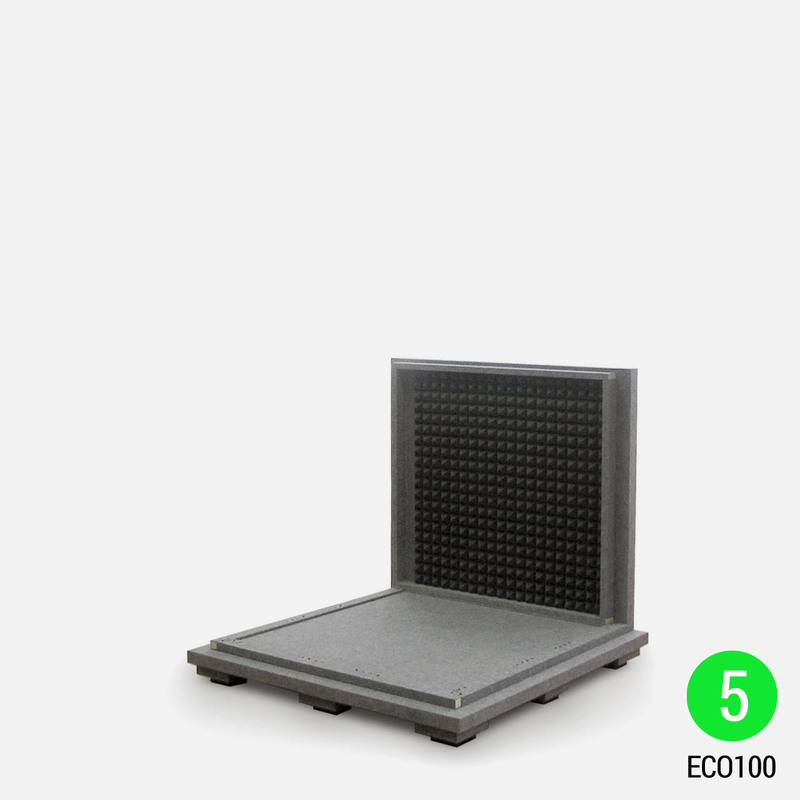 3) Once we have the base ready, we can place the 4 batton strips according to the order of the colored dots on the module. 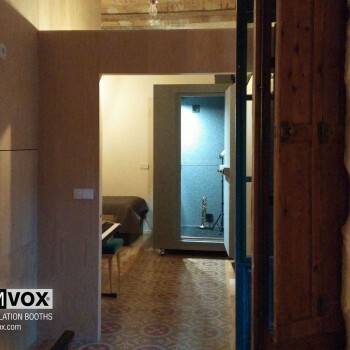 4) The interior floor space is placed inside the 4 batton strips. 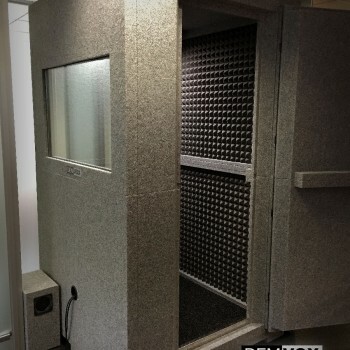 5) Now we can already start with the placement of the lower side of the booth. 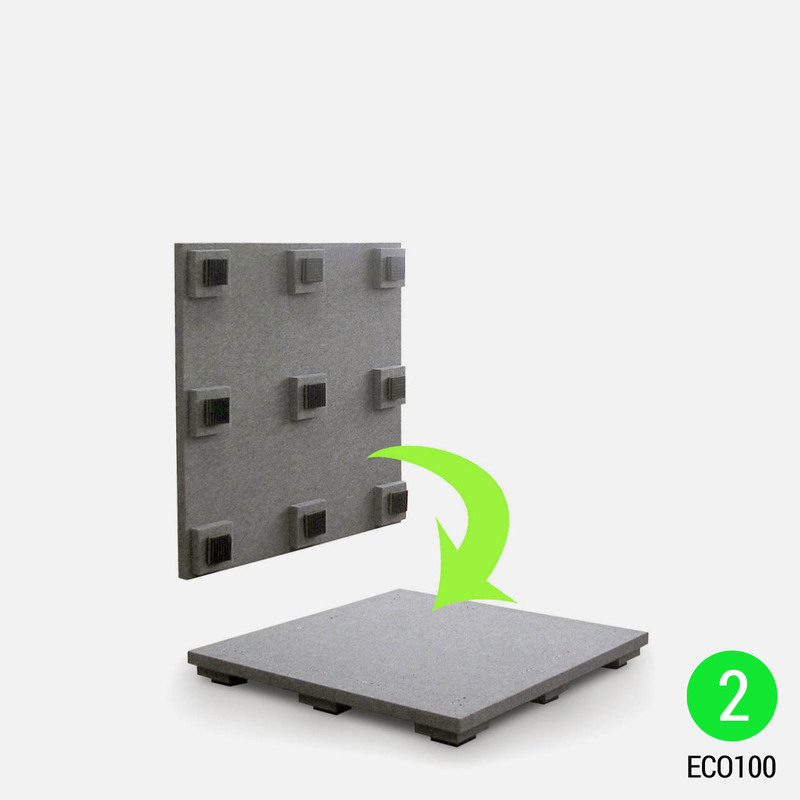 We start with the flat modules. 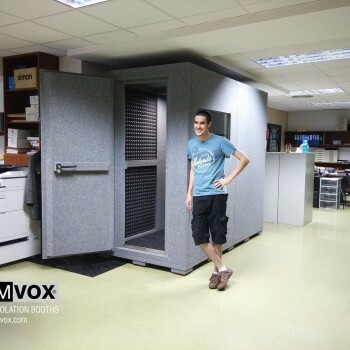 6) We continue with the installation of the lower ventilation module. 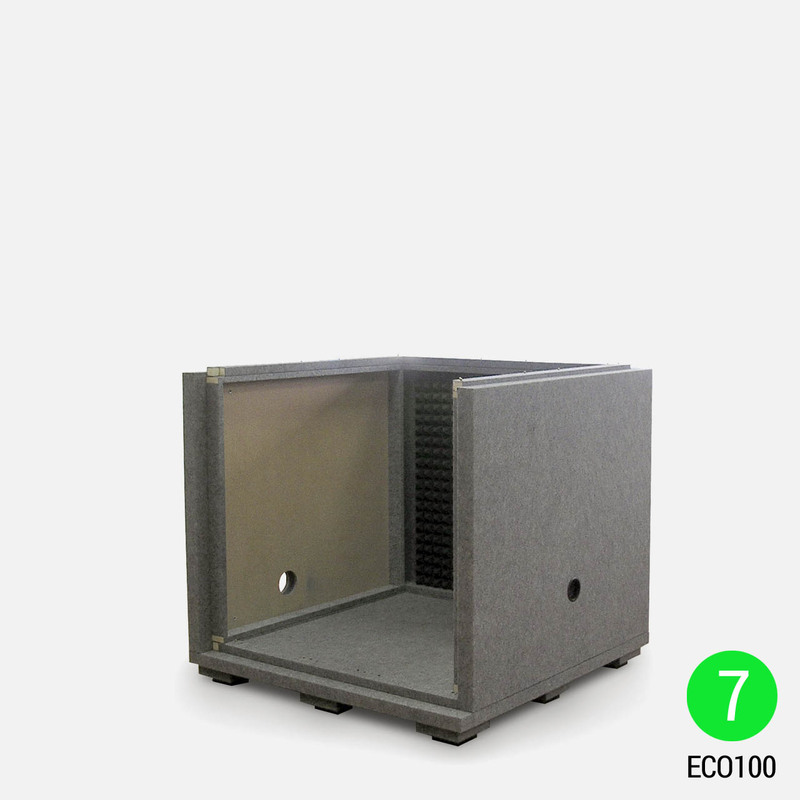 The inner lid of ventilation, is put in place at the end of the process, since it is necessary to screw the side panels, floor and ceiling. 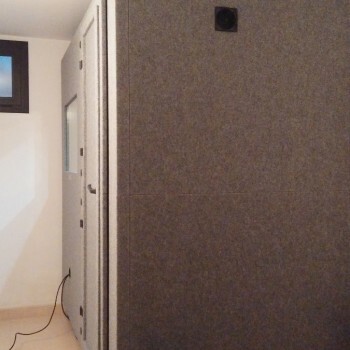 7) Next, put the cable outlet in place. 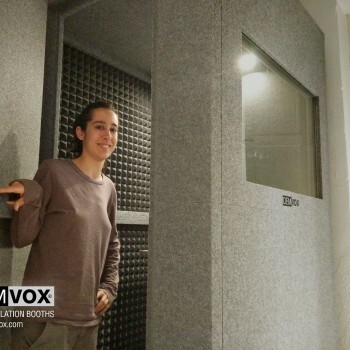 8) Finally, close the bottom side of the booth by placing the bottom of the door module, considering which way we want the door to open and close. 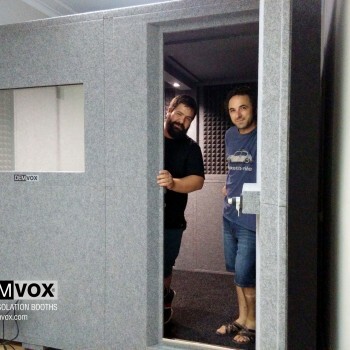 In the image, we have placed the module so that the door opens from right to left. 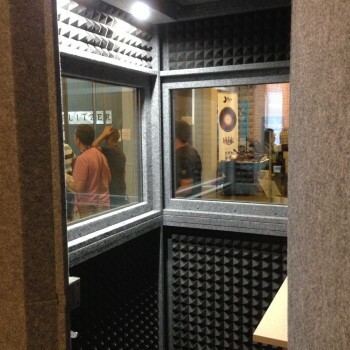 9) We can now proceed to the top of the booth, for example, by the upper ventilation module without the inner cover as explained in point 6. 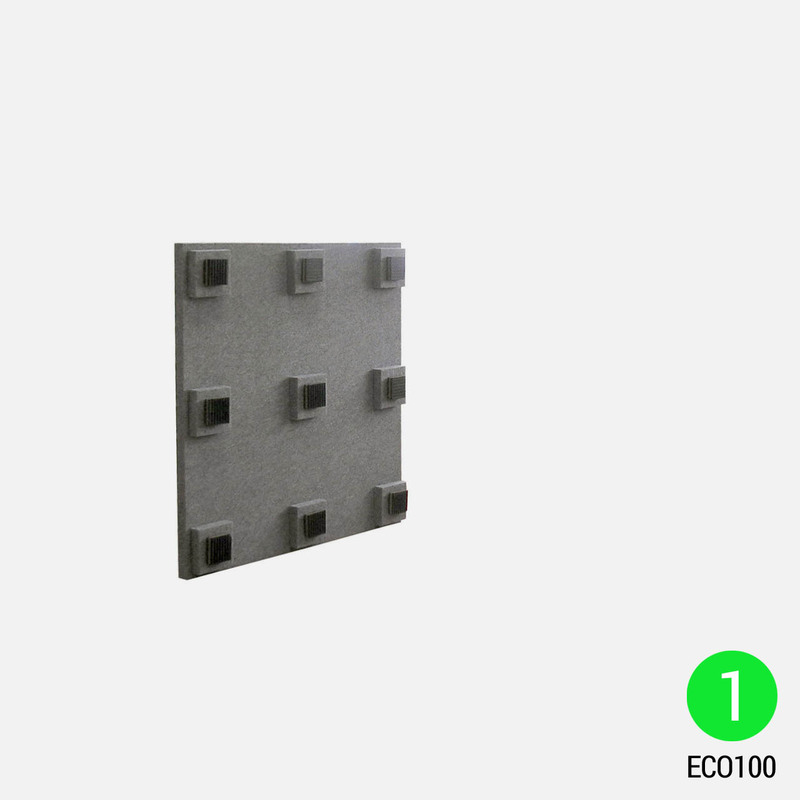 10) We continue with its adjacent module, the flat upper module. 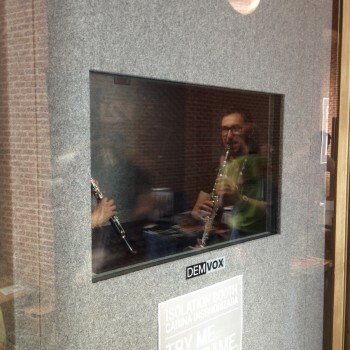 11) And put the window module in place. 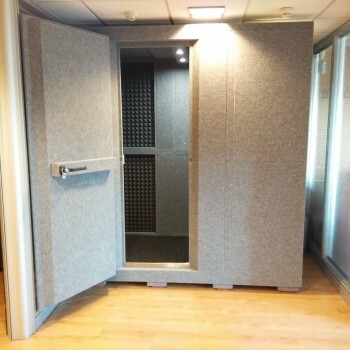 2 people are needed for this module to ensure that unstable movement is not experienced thus making for a safe installation. Although the triple glass is very sturdy, it is the heaviest to mount (2kg) module. 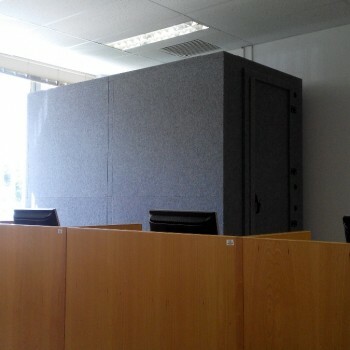 12) Finally, we close the upper side panels with top door module. 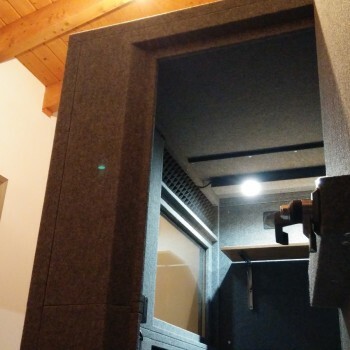 14) Finally, put the inner covers of the ventilation panels, electrical outlets, the hollow door-trim protection, interior and LED lamps and acoustic carpet. 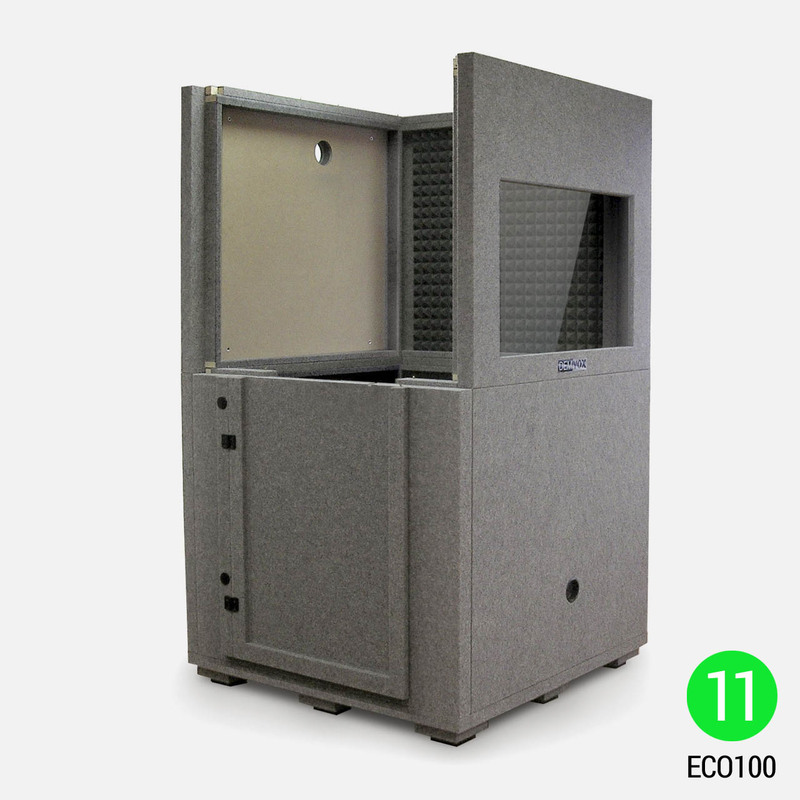 15) You can now enjoy your ECO100 fully functional. 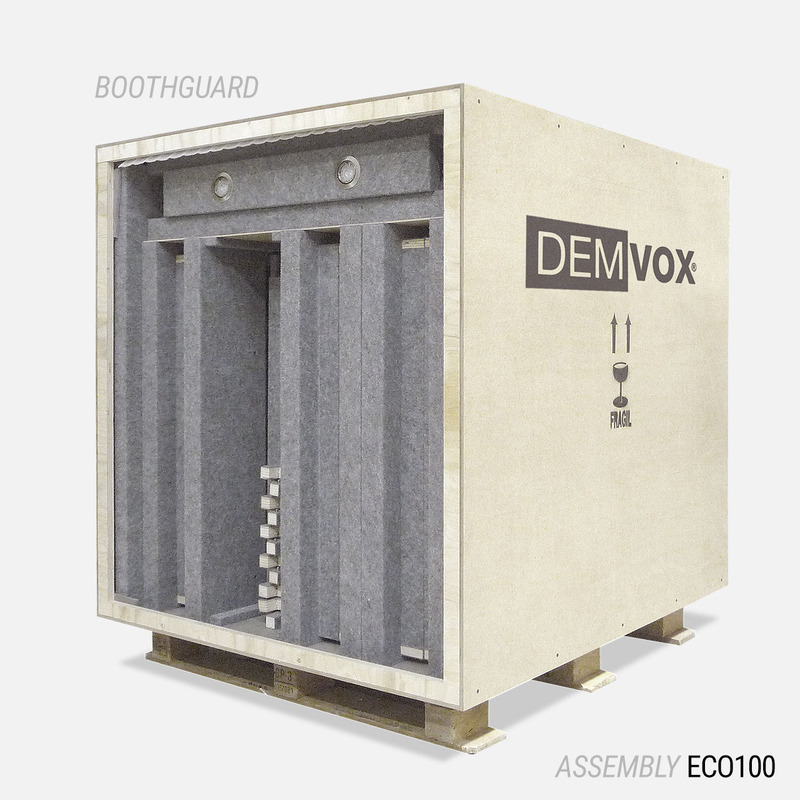 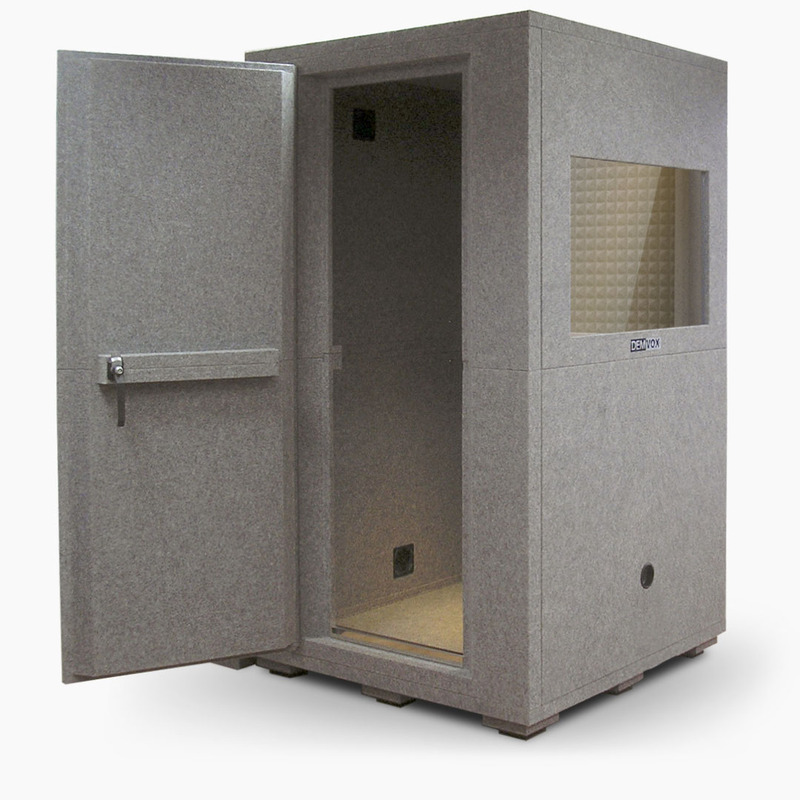 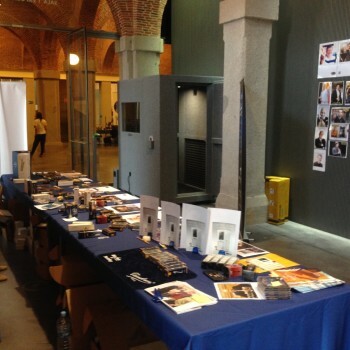 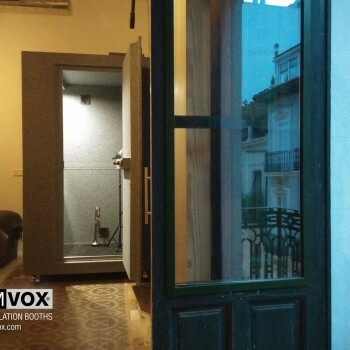 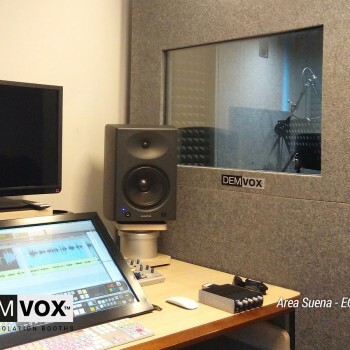 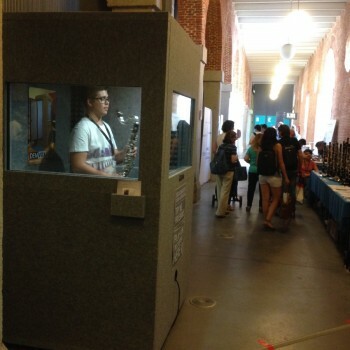 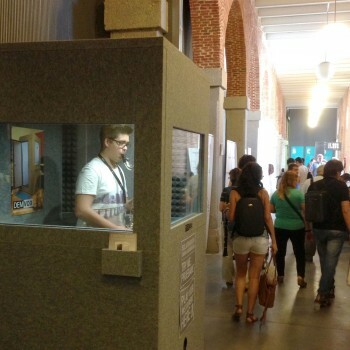 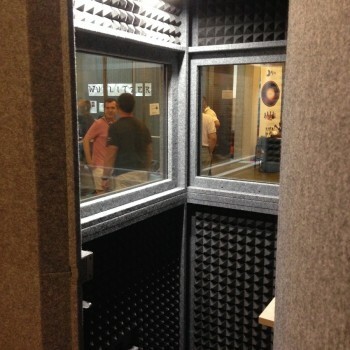 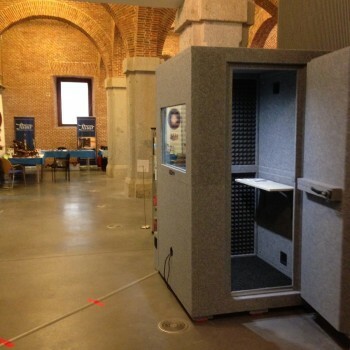 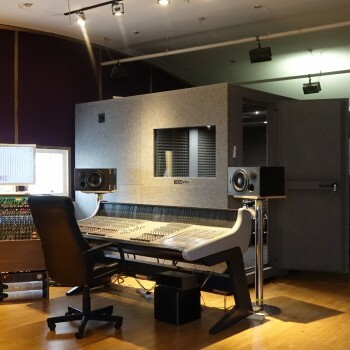 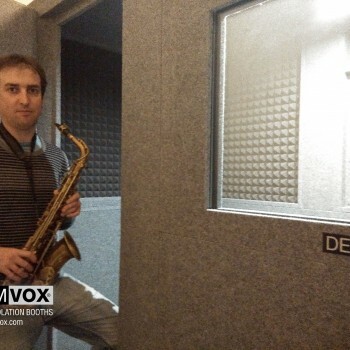 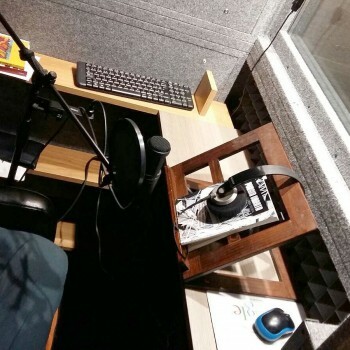 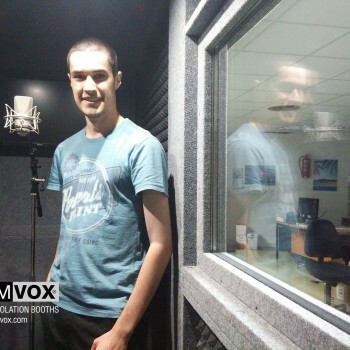 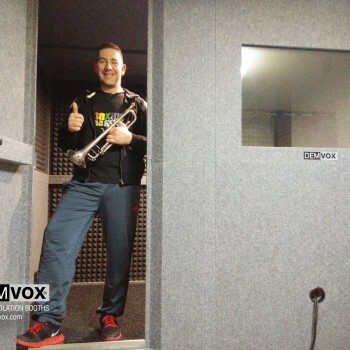 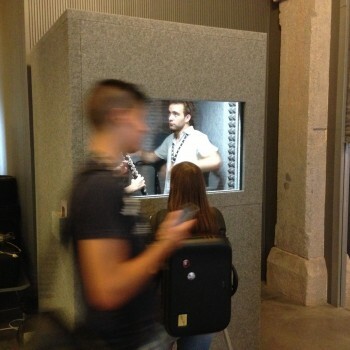 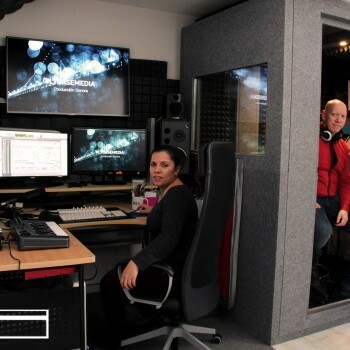 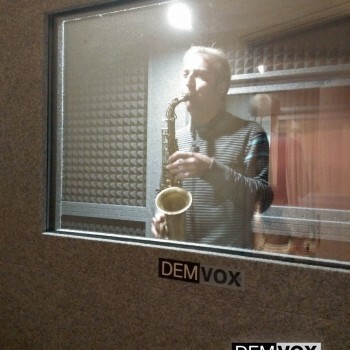 The Demvox booths are products for life, made from materials of high density and quality, and prepared to work hard. 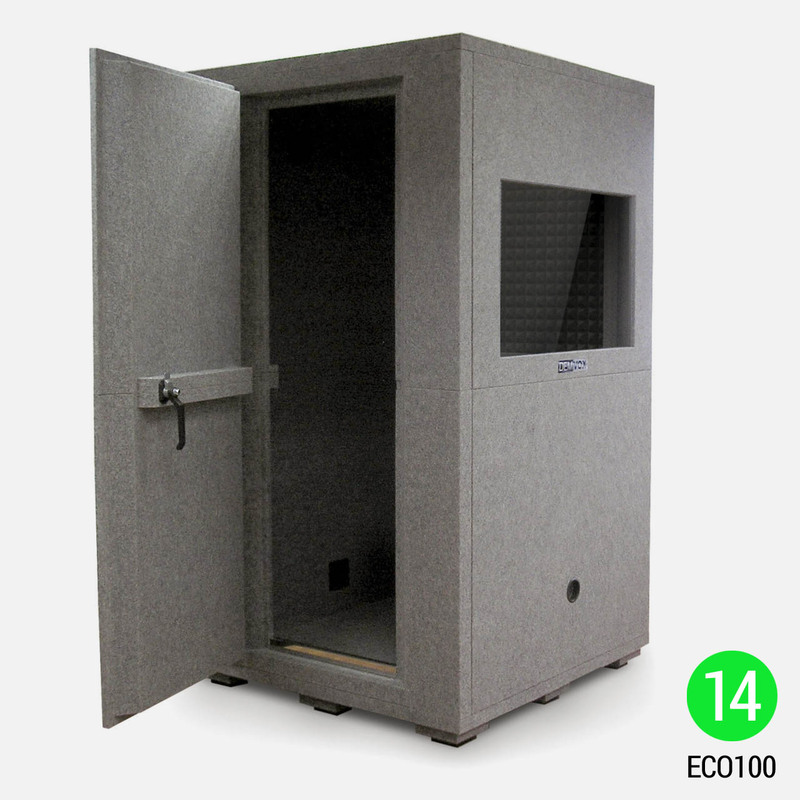 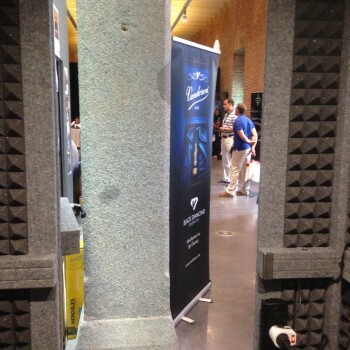 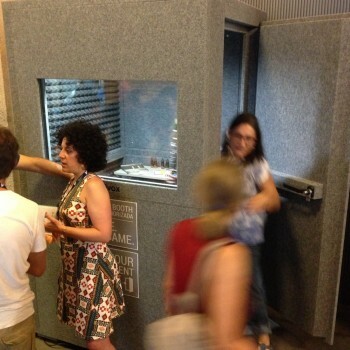 Some important points to consider in addition to the sound booth itself, are the packaging and assembly. 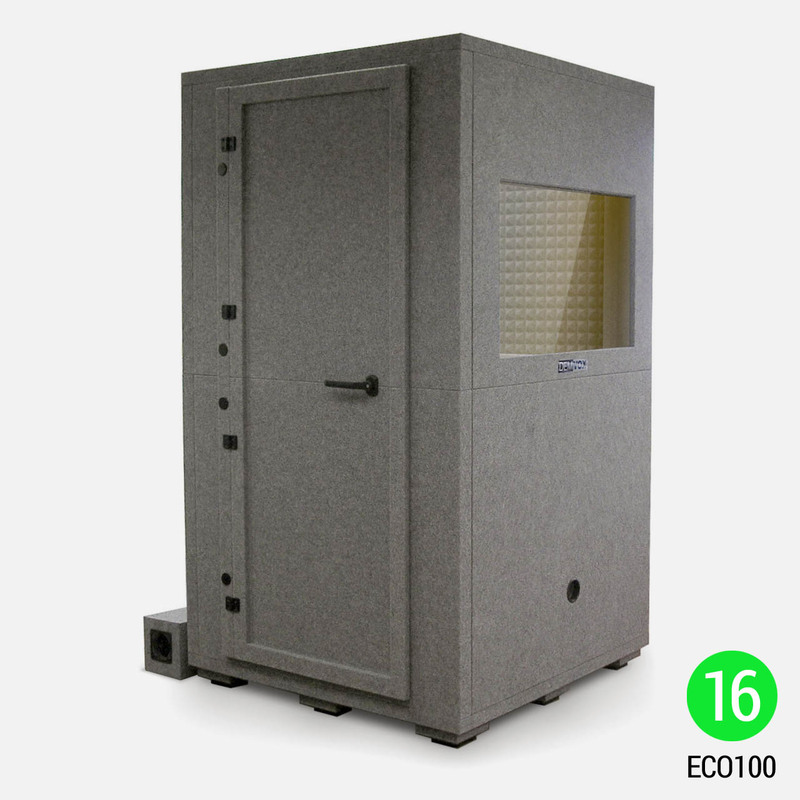 Therefore, in addition to our packaging system BOOTHGUARD, we have put a lot of effort into the portability and assembly of our products. 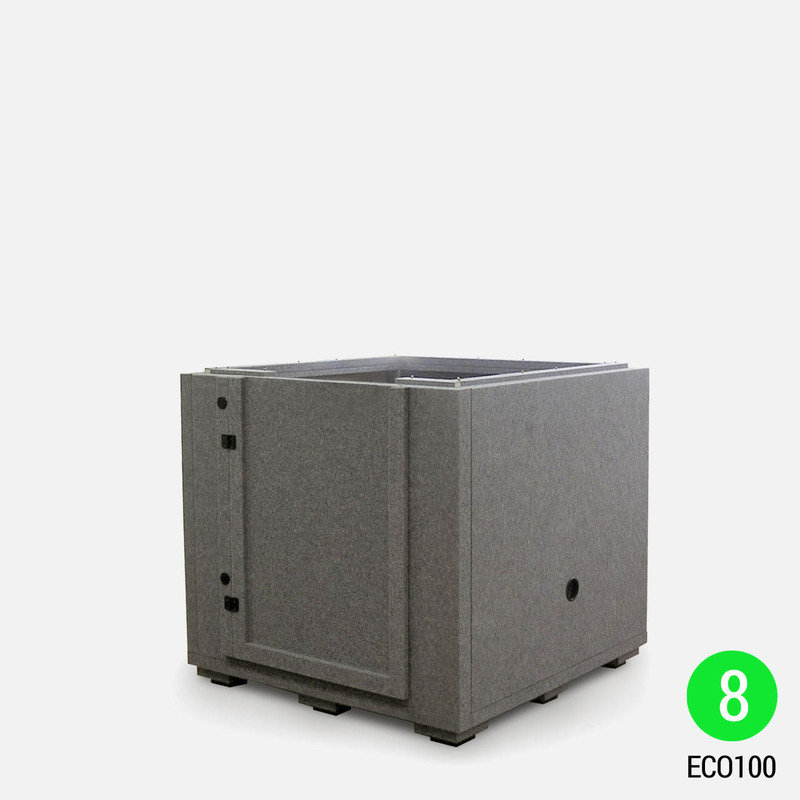 The ECO model is completely modular, so that the packaging will not occupy more than 1,30 x 1,30cm in the boxes you receive. 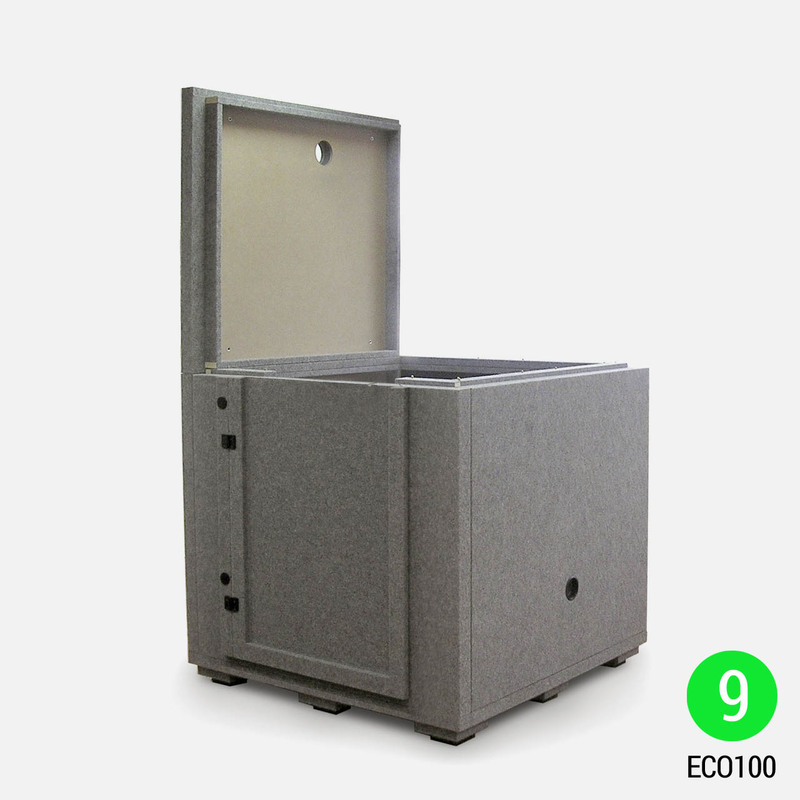 Inside this packaging you will find the parts of the cabin that can be assembled according to the assembly manual. 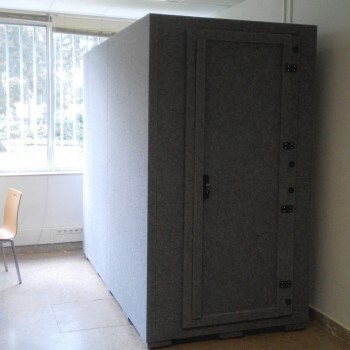 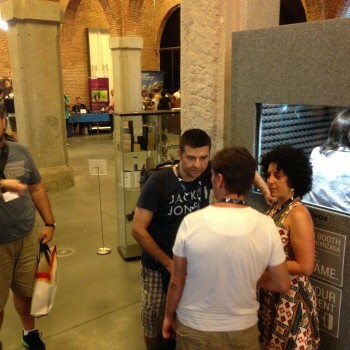 You will not find any piece heavier than 40kg, and you can assemble between two people, approximately in an hour. 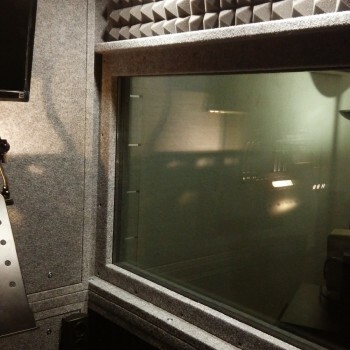 Of course, the cabin comes with a PDF instruction manual.